Following the success of events in London, Berlin, and New York, Voxburner brought their Youth Marketing Strategy summit to San Francisco for the first time on June 12 at Fort Mason’s Gallery 308. YMS offers insights that reflect the latest trends and hottest topics in the youth marketing industry. 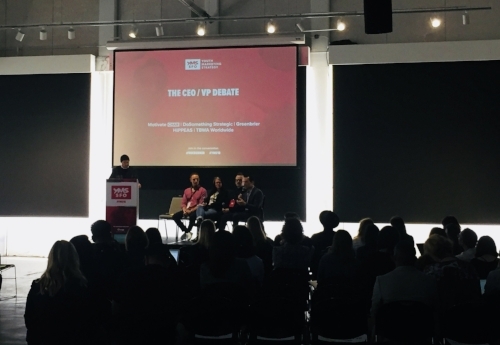 We attended to see our speakers from Tophatter and Greenbrier and hear what’s driving the behaviors of GenZ and how brands and agencies can do a better job of meeting the youth market where they are. Here’s what we learned. Where is the opportunity? Podcasting, free reach on LinkedIn because they haven’t figured out their algorithm yet, music.ly, Twitch, and Facebook Groups. Youth are compelled to find and follow their personal passions to build up a life resume of experiences. GenZ is the most self-reliant generation yet. They know how to find the answer. 72% want to start a business. “Girl Power” is an outdated mantra. In Z’s minds, the gender paradigm has already shifted and it’s up to us to catch up. 82% of GenZ said they’d rather trail blaze than follow traditional paths.